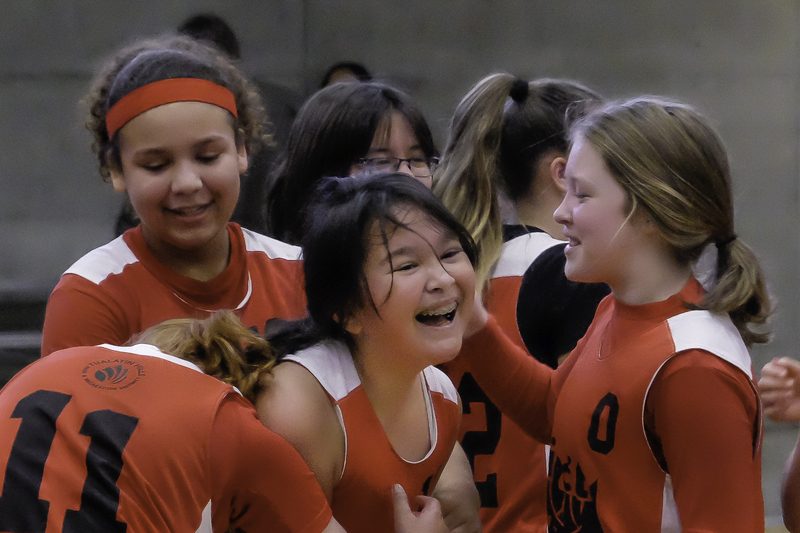 THPRD's youth basketball leagues are open to girls and boys in grades 5-12 attending Beaverton School District schools or residing within the THPRD boundaries. Sign up for 5th grade, middle school, and high school programs today at THPRD. If you have never registered online we, download our "how-to" guide for your convenience. Please note that registration for youth basketball leagues must be done online or in person at the Athletic Center. Phone-in registration has been discontinued. To register, please complete the following steps. Registered players will be contacted by their coach once teams are set. Enter myTHPRD portal and click the "Sports League Registration" link. Complete and return Medical Information & Consent Form and concussion information sheet to Athletic Center staff. The youth basketball program depends on the generosity of volunteer coaches to lead the athletes and foster an enjoyment of the sport. Coaches must have a commitment to fair play, ethical behavior and integrity. Apply today or call 503-629-6330, and we'll help you get started! This program operates during summer and winter. For more information, call the Athletic Center at 503-629-6330 or e-mail jpacarro@thprd.org. Online registration will be accepted April 1 - May 7, 2019. Important Note: Be sure to register for the grade level the player will be entering in September. Walk-in registration will be accepted only at the Athletic Center. No phone in registration. All parents and players must complete the Jenna's Law Concussion Training requirement and the online medical consent form before participating in practices and games. League Information highlights - Please read parent and team information packet for complete details. One free practice - Additional practices maybe available on a rental basis depending on court availability. Teams provide their own jerseys - Only numbers shall be printed on jerserys. Jerseys with pictures, team names and/or slogans will not be allowed. Recreational and competitive levels may be established if there are enough teams in the league. Grade levels maybe combined if not enough teams register in one grade level. Players who made the winter high school Varsity, JV, JV1, JV2, JV3 or freshmen teams are eligible to participate in this summer program. Coaches approved to coach in the 2019 winter program will not have to complete a new coaching application unless contact information has changed. All new coaches need to complete the online volunteer coaching application and complete all training requirements (Mandatory Reporting, Concussion Certification, Code of Ethics, Contract and Sportsmanship statement). Coaches entering a team will need to submit their Preferred Team Roster and Team Placement forms to the Athletic Center by May 7. Winter High School Basketball registration information will be available in October 2019.